What to Do When You Have an Earache and Sore Throat? The combination of an earache and sore throat means a doctor’s visit might be in order, particularly for children. Parents asking what to do when you have an earache and sore throat are probably concerned they have an ear infection or strep throat. If the earache is an ear infection and sore throat, over the counter remedies cannot resolve the problem. 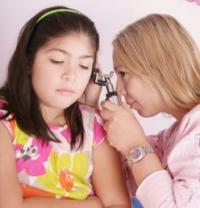 An earache can also be one of the symptoms of strep throat. Strep throat is very painful and highly contagious. Strep throat should be treated with antibiotics; otherwise, serious complications can develop. Visiting a doctor is the only way to know for sure if a sore throat is strep throat. FastMed Urgent Care is right around the corner and provides personalized care you’d expect from your neighborhood walk-in clinic with a robust variety of services. Our staff welcomes walk-ins every single day of the year, and we’ll never make you schedule an appointment. We strive to provide immediate care when you need it without compromising on quality. To find the location nearest to you, just put your zip code into our location finder. Of course, children aren’t the only ones who can get strep throat. Whether you have a sore throat, ear pain, headache or other symptoms, you can find help at FastMed. The Center for Disease Control says it’s time to seek medical attention if a sore throat has lasted longer than two days. After you visit a FastMed office, you’ll know exactly what to do when you or anyone in your family has an earache and sore throat. The medical professionals at our FastMed offices have a strong commitment to the quality of your care. We will test for strep throat in our on-site lab: that means no waiting period for results. We can also prescribe any necessary antibiotics. Patients (or parents) are welcome to ask any questions or raise any concerns they may have. Check out some additional ways to start feeling better, especially after speaking with one of our medical professionals.